Reese's Peanut Butter Cups and Mounds. All I'm saying is that it's a shame that you have to settle for substandard chocolate. You don't know what you're missing. In March 2007, the Chocolate Manufacturers Association, whose members include Hershey's, Nestlé, and Archer Daniels Midland, began lobbying the U.S. Food and Drug Administration (FDA) to change the legal definition of chocolate to allow the substitution of "safe and suitable vegetable fats and oils" (including partially hydrogenated vegetable oils) for cocoa butter in addition to using "any sweetening agent" (including artificial sweeteners) and milk substitutes. Currently, the FDA does not allow a product to be referred to as "chocolate" if the product contains any of these ingredients. To work around this restriction, products with cocoa substitutes are often branded or labeled as "chocolatey" or as in the case of Hershey's Mr. Goodbar containing vegetable oils, "made with chocolate". The use of cocoa butter substitutes in Canada is not permitted. Chocolate sold in Canada cannot contain vegetable fats or oils. The only sweetening agents permitted in chocolate in Canada are listed in Division 18 of the Food and Drug Regulations. Artificial sweeteners such as aspartame, sucralose, acesulfame potassium, and sugar alcohols (sorbitol, maltitol, etc.) are not permitted. Products manufactured or imported into Canada that contain non-permitted ingredients (vegetable fats or oils, artificial sweeteners) cannot legally be called “chocolate” when sold in Canada. A non-standardized name such as “candy” must be used. Consumers have a choice in America of so many brands, shapes, tastes, levels of quality. I am not sure why everyone always feels sorry for us because we don't have this or that chocolate. Couldn't it be that we just LIKE what we purchase? I am sure you enjoy what you have more. But if we wanted it, I think we (many of us would buy it). Aren't there people in Canada who do buy "Choclatey" Chocolate? My favorite is Snickers bars followed by, and I know it's technically not considered candy, Cap n' Crunch. The one that's in my hand. First of all, please explain how the UK is the "black sheep" of Europe. Second of all, merely stating something does not make it true - please give some actual examples of what "stuff" the UK includes in their chocolate that "other European countries would say are no good." As far as black sheep, I only meant regarding chocolate. I read something a few years ago comparing UK chocolate with some other European countries', and ingredients allowed and still being able to call it milk chocolate. I can't find any reference to it now, so I'll have to leave it unsubstantiated. As far as opinions go, I think you can find some pretty damn bad "chocolate" in the USA, much worse than any I've had from the UK. But you can find really good stuff here too. 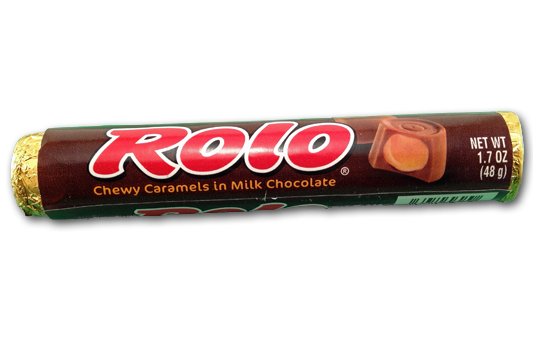 Used to like em myself till i got diabetes and now have to forgo the pleasure..
Got to thinking what are other peoples favorite chocolate bars and what do they look like? Jambo, I'm not sure why you were looking in the States for a Mars bar. They have them everywhere here in Montreal. I was at IGA this morning and it was right there at the register. Get ye to your local IGA and make your wife a happy lady.